Maintained by రామ ShastriX. This page has been created entirely in my Chromebook, with enormous support from Pixlr Express. 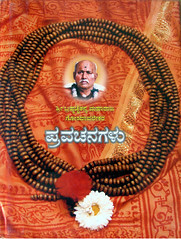 Many thanks to Sri Raghunath Ganjur for allowing me to use the Kannada page images from his blog. Thanks much to Amarnath GS for recording the audio of the pravachan in his soothing voice.